When I qualified in September 2013, I immediately took up a position as Staff Nurse in the Cardiac Intensive Care Unit (CICU) in Derriford Hospital. CICU was a great place to work as a Newly Qualified Staff Nurse and I learnt the essential skills required of a Registered Nurse, as well as some of the advanced skills required of a Critical Care Nurse. In February 2014, I returned to Plymouth University as a Clinical Demonstrator for the Clinical Skills modules on the adult nursing programme and Year 1 of the mental health nursing programme. Alongside my full-time clinical role, being a Clinical Demonstrator has helped me to develop teaching and mentoring skills which transfer into my clinical role. In September 2014, I became a Junior Charge Nurse on a respiratory medical ward and embraced the balancing act the role brings, including delivering direct, safe, good quality nursing care to patients as well as co-ordinating the smooth operational running of the shift. I have stayed in this role since September 2014 and continue to enjoy the mix of clinical patient care and management skills that the role brings to me. In September 2016, I was seconded full time onto the Masters in Clinical Research (MClinRes) programme where I am experiencing an action packed 12 months of assignment writing. I’m also conducting clinical research that I’m hoping will help to innovate clinical practice in my work environment to improve clinical care for patients. There are so many areas to specialise in and opportunities for personal and professional development. In terms of career progression, nursing is much more than just working as a Band 5 RN, then going into management. I’m still finding out about new nursing roles both clinically and academically. Since commencing the MClinRes, I have learnt about a relatively new role – the clinical academic – which sounds perfect for me as it embraces all my nursing passions: direct clinical care, education, and research and fits in perfectly with my personal philosophy of aspiration, innovation, and care. Clinically, the most difficult thing I’ve faced in my career was commencing my post as Junior Charge Nurse on a respiratory ward at the beginning of the winter pressures, after only being qualified for 11 months! I always take opportunities and tackle challenges head on, but I would say that the first four months of my job were some of the most challenging months of my career to date. All throughout that winter period there were lots of acutely unwell patients presented to the ward in acute hypercapnic respiratory failure, and I was still finding my feet and adapting to the change in role and environment. However, I was and still am lucky to be surrounded by an amazing team and a very supportive manager. Academically, I am finding the MClinRes challenging but relishing the opportunity to carry out research on areas of clinical care that I’m passionate about. I’m very lucky to have supervision and support from Professor Jos Latour who has helped guide me through this challenging year. Every day there is a new challenge as part of my work and I wouldn’t have it any other way. Working on the frontline of the NHS has really emphasised how great it is; meeting people at their worst is challenging but the reward lies within helping them get better and get back to their best. That special therapeutic relationship nurses make with patients cannot be overvalued and it is one of the many aspects of being a Respiratory Nurse that I love. We care for patients entering the crisis phase in their long-term condition and give them the care and treatment they need to take back control of their condition. Combine this with the critical analysis and research skills I’ve developed during this academic year, being able to identify gaps in care that could be improved and then embarking on a project that could help improve patient care brings immense satisfaction. If that doesn’t give you professional satisfaction, I don’t know what will. If you’re choosing a health course, be prepared for a busy (but very rewarding) three years that will prepare you for life as a Health Care Professional (HCP) and also for life-long learning. Health care is a wonderfully rewarding vocation and it’s a brilliant feeling knowing that you make a difference to peoples’ lives. As for postgraduate study, my advice would be to not under-estimate the challenges – if studying full time, be prepared for a relentless year of study and don’t lose focus. I’m passionate about research but need to be able to see, experience, and follow through with the recommendations and innovations in clinical practice to improve patient care and that’s what has been the driving force for me over the past year. 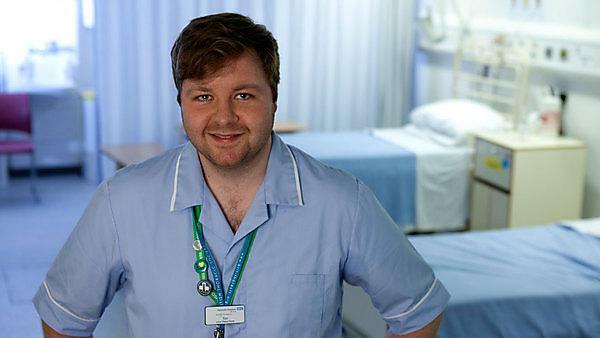 The BSc (Hons) Nursing (Adult) programme at Plymouth really prepares you for life as a qualified nurse. I had a ‘High Dependency’ placement in Critical Care, a ‘Surgical’ placement in Planned Care, a ‘Medical’ placement in an Acute Respiratory Ward, and a 'Community' placement in a GP surgery. These placements helped me develop the skills and appreciation for the multi-faceted role of an RN in a range of environments. From the placement element, I developed an appreciation of what it is like to work shifts in 24 hour care and have worked a mixture of early shifts, late shifts, long days, and nights. I loved the placement element of the course because it has lots of patient contact and is really hands on care. The curriculum was interesting and varied and applied the theoretical components to practice. The teaching strategy used a mixture of lectures and small group sessions including problem based learning (PBL), student-led seminars, and practical skills teaching. The course really engrained the importance of “being the best that you can be” and has emphasized the diversity of nursing as a profession. 1. My first one was going to a Public Health Conference on behalf of the School of Nursing and Midwifery with one of our lecturers and a group of peers. The conference was in Bristol and focussed on plain packaging in the tobacco industry and talked about how implementing plain packaging on tobacco products would help reduce the number of smokers. We then had to present our findings back to our cohort, which was an experience! This is one of my favourite memories because it helped me to realise the power a collective voice has: MPs have now passed legislation to introduce standardised cigarette packaging starting in May, 2016. 2. Another favourite memory was when I was a School Representative for Nursing and Midwifery in my third year and organised a School of Nursing and Midwifery (SNAM) Wellness Fortnight; we received support from the UPSU and organised some free fitness classes for SNAM Students. 3. I really enjoyed the socials organised by NurSoc – we had some really colourful nights out! Pub golf, graffiti-white t-shirt socials, and the Rubik’s Cube socials were some of my favourite nights out. These nights really brought us together as student nurses from across the branches of adult, mental health, and paediatric nursing! 4. And finally, a collection of memories I’ll never forget come from interviewing some of the senior nurses for various assignments during the MClinRes. I got to see how their passion for nursing remains as strong as their first day as Registered Nurses. They inspire me. I have stayed in touch with course friends who I see regularly and others who have gone further afield. I see my lecturers fairly regularly as part of my Clinical Demonstrator job. I would definitely recommend studying Nursing and Clinical Research at Plymouth University. In both the School of Nursing and Midwifery and Health Professions, staff are helpful and flexible with the teaching and support they provide. For more information about studying BSc (Hons) Nursing (Adult Health), please visit our BSc (Hons) Nursing (Adult Health) page. For more information about our range of courses within the School of Nursing and Midwifery, please visit the school page. If you would like to find out what other alumni from the Faculty of Health and Human Sciences are currently doing, please visit the health and social work interest area.